The traditional banking structure is under attack. Thanks to rapid technological development around the world, it’s now possible for consumers to sidestep banks and other unnecessary intermediaries and secure private loans more efficiently. But just like with any new process innovation, there are growing pains. 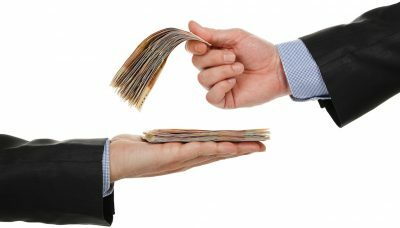 Many of the early private lending platforms to hit the market are facing debilitating issues with financial transparency, user experience, and security. These issues present themselves in certain markets more than others, as each nation carries its own unique financial regulations that can lead to a variety of obstacles if not addressed properly. One nation where this hasn’t been an issue is Sweden. Look no further than Lendify – the country’s largest peer-to-peer lending platform – for proof. Lendify operates through an easy-to-use web-based interface that serves as the foundation for a smarter Swedish economy. The platform seamlessly connects private investors with the borrowers that make the most sense for them – ultimately delivering better returns to the former and better rates to the latter. No more jumping through hoops at banks only to get denied months later. Whether you need money for a new car, home, or business venture, Lendify can connect you with private investors in just a few short minutes. If the deal looks good to both sides, the money will hit your account before you know it while you enjoy transparent communication throughout the entire process. The company has gained a remarkable amount of traction since opening its doors in 2014 – most notably eclipsing 1 billion kronor lent through the platform in May 2018. This, and other notable achievements, has made Lendify one of the fastest growing peer-to-peer lenders in Europe and listed as one of the hottest Fintechs in 2017 by KPMG. Users on both sides of the coin are overwhelmingly satisfied with the platform. “Lendify is so simple. I regularly invest in loans with 10 years’ maturity and receive amortization and interest on a monthly basis,” pronounced Erika Malmberg, a top Lendify investor. 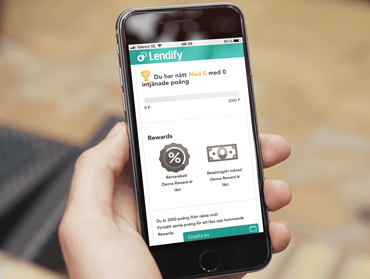 Swedish consumers looking to borrow and eager investors alike can get started on Lendify in just a few clicks by visiting www.lendify.se.